Sure. When Burn Down Eden was founded in 2012, we were four guys trying to do some Death Metal alongside our studies in Dresden. But it was more like meeting to practice which ended up in drinking lots of beer, haha. After a while we´ve had personal changes. Our friend Jakob left the band and part-time bassist William became the lead guitarist. He´s the musical brain in our formation now and a very, very good guitarist. So, as we all wanted to do more melodic stuff, we improved our skills and simultaneously our ambitions grew. That all started in April 2014. At this time we had to write a lot of new stuff, because we were booked for a show in August 2014 as support for Misery Index in Dresden. That was our sword of Damocles! If this show would have been a real disaster, Burn Down Eden wouldn´t exist anymore, haha. But luckily for us, we´ve got lots of good feedback, so we decided to keep things rolling. In December 2014 we hit the studio and recorded the EP „Memoirs of Human Error“. It was more kind of a DEMO, because we sent it to a couple of labels, where we found Sliptrick Records as a partner. Playing a couple of shows in 2015 and being always quite productive, we hit the studio again in December 2015 to make the next step and to record our first LP „Ruins of Oblivion“! This was released by the German label 7hard for the German speaking countries and is gonna be released by Sliptrick Records to the rest of the world. 2. So far you have released an ep and a full length, how would you describe the musical sound that is represented on the recordings? The sound on „Memoirs of Human Error“ is pretty rough, but not that bad at all. On „Ruins of Oblivion“ we´ve re-amped the guitar and bass signals, so that we´ve had more scope to play with the sound. We have three different ENGL sounds on there. But overproduction is not. We kept a little bit roughness alive. What you hear is what you get, also live! But the most ear-catching change is the voice. Our former vocalist Jules decided to leave the band in September 2015, but in Kai we found a suitable substitute. The lyrics are covering a broad variety of topics. From criticism about society like in „Cosmogyral Miscarriage“ or „Omnivorous“, over to depression and the drug abuse coming along with it to handle the pain like in „Pandemonic Overture“, up to hanging out with the guys and drinking tons of beer like in „Sons of Isengrim“. We like to tell stories from every point of view. Sometimes we just jump into a serial killer´s mind telling his story [„Kronossphere“], haha. All in all, it´s very figuratively. You have to think about it once or twice to understand the subject matter behind the told story. 4. What is the meaning and inspiration behind the name ‚Burn Down Eden‘? The ‘Eden’ stands for our superficial, consumeristic society, figuratively. Like the Bible suggests us a place, where every wish comes true, all the commercials try to sell us that consumption is paradise. So, it´s against both hypocrisies, church (whether Christian, Islamic or whatsoever) and capitalism. The show as support for Misery Index was definitely a highlight. 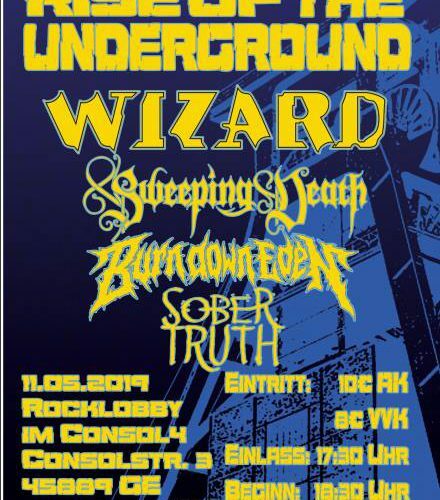 As I mentioned earlier, it was our first show with new line-up, new songs and the band´s consistency on the line. Lots of pressure, haha! Apart from that, we had our record release show at Evolution of Metal (a concert series organized by our friends in the band „The Last Hangmen“) in Dresden on October 22nd. That was pretty awesome, too. Yeah, how to describe your own performance!? That’s a tough one. What we´ve got told is (what you see from in front of the stage) that we have fun and are very passionate in doing this. We try to play with the audience, as long as the licks allow it (haha), but in Kai we also have a lead singer, who´s always doing a great job! Yes we have. But unfortunately reality differs with your own imagination. The scene now has changed over the last decade. We´ve all played in different bands before and it was definitely easier to book shows for your band 10 years ago. All the small town venues died out because of the urban sprawl and promoters‘ won´t pay for a support band which is from 200 km away. Instead they usually charge a fee. But we´re always in in close collaboration with Fylo [booker of Sliptrick Records], so I think there´s something coming in the near future. 7. Currently the band is signed to ‚Sliptrick Records‘, are you happy with the support that they have given you so far? I´ve to be honest, we didn´t had the best start at all, but that´s history and all the issues are solved. So, we´re pretty happy now, yes! 8. 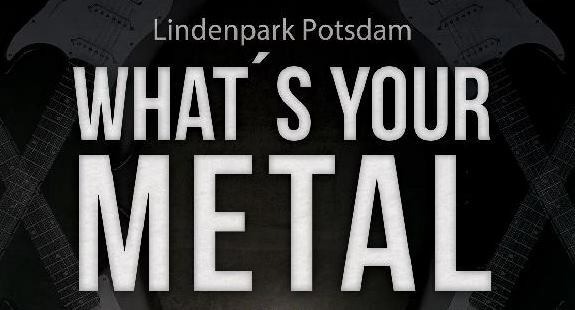 On a worldwide level how has the feedback been to your music by fans of melodic death metal? Until now it is pretty good. We´re glad that the fans like what we do! We´ve also got great reviews by the German magazine´s RockHard and Legacy. That confirms you in your work and to keep things rolling. I guess we just keep our style…melodically and fast but maybe a bit more deepness at some point! We´re still a very young band and have a lot of space to improve our technical skills, our sound and our songwriting. As I mentioned earlier, we´re quite productive. “Ruins of Oblivion” is recently out of the press shop and our second LP is already in the making. This one is going to be more technical, more extensive and more complex at some point, but still typical “Burn Down Eden”-style. We´re definitely influenced by At the Gates, Arsis and the old In Flames. I guess you can hear that. But we´re also influenced by lots of 80´s metal. Especially William listens to all the big shredders like Yngwie Malmsteen, Greg howe, Guthrie Govan, Paul Gilbert and Buckethead. The music we´re listening to nowadays is a wide variety. For me, Vektor is one of the best bands we have right now! Or in times where I like to listen to more Heavy Metal kind of stuff, I always come back to 3 Inches of Blood…it´s a bummer that they´d quit last year. William also likes to listen to some Jazz sometimes. But because of his job he is forced to listen to every kind of music. We really like to drink beer! A lot, haha!!! Actually, we´d really like to thank all the people who are interested in our sound, what we do and who supported us so far. Hopefully, we will see all of them on a show nearby their hometowns very soon. -It wasn´t that hard at all! We wanted to express our antipathy against church and their ferry tails and after couple of beer we found a name. I guess the name fits pretty well to the music, because in Death Metal or Melodic Death always somebody or something gets burned, murdered or raped, haha. -Sure. When Burn Down Eden was founded in 2012, we were four guys trying to do some Death Metal alongside our studies in Dresden. But it was more like meeting to practice which ended up in drinking lots of beer, haha. After a while we´ve had personal changes, the ambitions grew and we wanted to sound more melodic. That all started in April 2014. At this time we had to write a lot of new stuff, because we were booked for a show in August 2014 as support for Misery Index in Dresden. That was our sword of Damocles! If this show would have been a real disaster, Burn Down Eden wouldn´t exist anymore, haha. But luckily for us, we´ve got lots of good feedback, so we decided to keep things rolling. In December 2014 we hit the studio and recorded the EP “Memoirs of Human Error”. It was more kind of a DEMO, because we sent it to a couple of labels, where we found Sliptrick Records as a partner. Playing a couple of shows in 2015 and being always quite productive, we hit the studio again in December 2015 to make the next step and to record our first LP “Ruins of Oblivion”! This was released by the German label 7hard for the German speaking countries and is gonna be released by Sliptrick Records to the rest of the world. -We´re definitely influenced by At the Gates, Arsis and the old In Flames. I guess, everybody who´s into that kind of music can hear that. But from time to time we also get some inspiration from other genres like classical music or jazz. We try to do it our own way, Burn Down Eden style. But it´s hard to reinvent the wheel in 2016. -Yes, it does feel like a worldwide movement. It always feels great to send merchandise to Japan or wherever. -Sure, the graphical side is important. An awesome cover artwork for our debut LP was indispensable for us. And it will be for the second LP! -The lyrics are covering a broad variety of topics. From criticism about society like in “Cosmogyral Miscarriage” or “Omnivorous”, over to depression and the drug abuse coming along with it to handle the pain like in “Pandemonic Overture”, up to hanging out with the guys and drinking tons of beer like in “Sons of Isengrim”. We like to tell stories from every point of view. Sometimes we just jump into a serial killer´s mind tell his story [“Kronossphere”], haha. -Difficult question! As we´re all born at the end of the 80´s, we don´t know how things worked at this time. Would be great to know, whether the album would have sold in the 70´s or 80´s or not, haha. But I guess it´s easier to reach people with digital nowadays. -As long as I´m concerned, I think vinyl´s the only format where you have the best sound experience. It just had it´s come back and for music lovers and musical assemblers’ it´s the ne plus ultra. But nowadays you also need digital to fill your iPod when you´re on the road. So, I guess both formats will coexist in the future. -We´d really like to be a touring entity, but unfortunately the scene has changed over the last decade. We´ve all played in different bands before and it was definitely easier to book shows for your band 10 years ago. All the small town venues died out because of the urban sprawl and promoters’ won´t pay for a support band which is from 200 km away. Instead they usually charge a fee. But we´re always in in close collaboration with Fylo [booker of Sliptrick Records], so I think there´s something coming in the near future. Getting to our live performance: What we´ve got told is (what you see from in front of the stage) that we have fun and are very passionate in doing this. We try to play with the audience, as long as the licks allow it (haha), but in Kai we also have a lead singer, who´s always doing a great job! -Another beer, more shows, more beer, a new album and of course more beer!